Another stressful day at the bank! My aunt would recount the horrors of a teller suspiciously inspecting her up and down, giggling and chatting with her co-workers about what a bad person she was. My aunt would then explain to me how the bank no longer liked her since she started making withdrawals from her account and she feared that they would no longer want to accept her as a customer. Maria would retell the experience in the most convincing manner, explaining to me how the staff stared at her causing the customers who were in line to glare with curiosity and caution. By the end of the conversation, I was so angered by how they treated my aunt; I decided to call the bank manager and report the teller. I wanted to ensure that they would never treat her like this or anyone again —after all, she was a loyal and valued customer. As the years went on, I realized the complaint phone calls that I made for my aunt about rude staff, might have resulted in a lot of decent employees getting reprimanded for actions they had never committed. My aunt was diagnosed with schizo-affective disorder when she was in her 50’s, and then the lightbulb in my head went off. Perhaps the incidents she disclosed were based on her fears of persecution and that they had never occurred? Years later, I would hear her crying and shaking in fear about how her landlord wanted to evict her. I would try to reassure her that it would never happen. Her apartment was clean, she was quiet, and she paid her rent on time –the ideal tenant. However, each month, I would have to reassure her of this, but it did not always work. She would go to the landlord’s office and directly ask them if they were planning to evict her. They must have eventually figured out that my aunt was not well, and thankfully and remarkably they were always polite to her. When she got older and was no longer able to live on her own, she moved to a nursing home which she liked. However, there again, she thought the administrators were going to kick her out on the street, and her room-mate was part of the conspiracy. Her whole life was built on fear. Fear of every sort. Fear every day. Sometimes, you will encounter people like Maria whether you are a public service employee or a customer service representative. People suffering from hallucinations will likely be the most difficult to serve. You want to make sure you do not aggravate or trigger their fear. Regardless of how challenging people with severe mental illnesses can be to serve, it is important to recognize they are also customers with buying power and deserve respect and equitable service. Not only is it the right thing to do, but it is also the law in Ontario. Although you may be in the position of power in your role, try not to emphasize your authority but instead act more as a helper, assisting them to find the product or service they need. Establish a rapport with them, by saying their name if you know it. Give them a simple compliment. If someone is delusional, don’t try to correct his or her hallucinations. Avoid taking on the role of the therapist. You can try calling their name a few times to see if they can refocus on why they need your service. On occasion, a person with a severe mental illness may make threats. Be aware they rarely carry them out. Avoid drawing any unnecessary attention to someone who is acting out or behaving differently. It is disrespectful to do so and staring or making loud comments to them does not help. For more information on how to provide courteous customer service to people with mental illnesses, subscribe to our upcoming digital magazine, Your Diverse Customer which will be coming out in Spring 2018. Our first issue will be devoted to serving customers with mental illnesses. 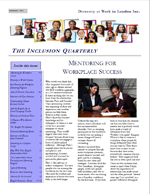 It will feature interviews, tips and strategies, global trends, resources, case studies and more. 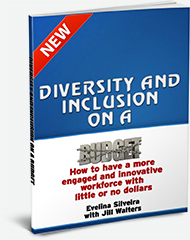 To learn more about Your Diverse Customer and purchasing details, please email me at info@yourdiversityatwork.com with “Your Diverse Customer” in the subject line.